After months of preparation the new heritage trail for Malvern Hills District Council is finally being installed this week. 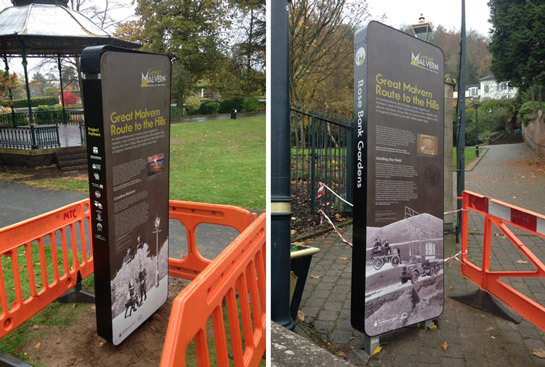 Theses monoliths are part of the new walking route which connects the town with the famous hills, telling some of the unique stories from Malverns historic past along the way. The brand identity, signage graphic design and monolith illustrations are by us, working once again in collaboration with 3D designers Outside Studios.